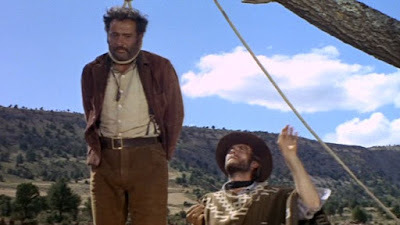 The Good, the Bad and the Ugly (Il Buono, il Brutto, il Cattivo, 1966) was the third installment of Sergio Leone’s famous Man with No Name Trilogy (aka Dollars Trilogy), whose earlier offerings were A Fistful of Dollars (1964) and For a Few Dollars More (1965). Although at the outset Leone did not have the intention of fashioning a trilogy and the plots of the three films were not serially connected, they all featured the same iconic lead – the laconic gunslinger, “The Man With No Name”, played by Clint Eastwood. Also, because they were Italian productions and were all released in the US in a single year, 1967, American critics began referring to them (and their subsequent Italian progeny) collectively as “Spaghetti Westerns”. wide-view long shots tightly intercut with sequences of extreme closeups. These are used to orchestrate the numerous and deadly man-to-man confrontations in the story. an episodic plot structure operating in the context of some predominant issue (usually money), with each episode culminating in a confrontation. scenic landscapes and settings that immerse and isolate the viewer in an atmospheric context. moody, evocative soundtrack music by Leone’s longtime friend and former classmate Ennio Morricone. And always there is the Man with No Name, whose gunshot marksmanship (along with that of other key principals in the stories) is impossibly accurate at long distances, while there thuggish adversaries always miss. All of these effects combine to establish a highly expressionistic interior landscape for the viewer, who becomes completely immersed in all the tense psychological confrontations that arise. In some respects we might refer to the whole collection of these effects as “operatic” and somehow appropriately Italianate, considering their source. In any case Leone was a master of this expression, and to see one of his films is to enjoy plunging deep into the emotion-laden waters he fashion. And with each successive output of the Dollars series, Leone went deeper and more emphatically into his form of orgiastic expressionism; so that with The Good, the Bad, and the Ugly it was almost reaching self-parody. “Blondie” (The Man with No Name, played again by Cline Eastwood). He is calm, calculating, and merciless. Since among the three main characters he is the least evil, he represents “The Good” in this story. 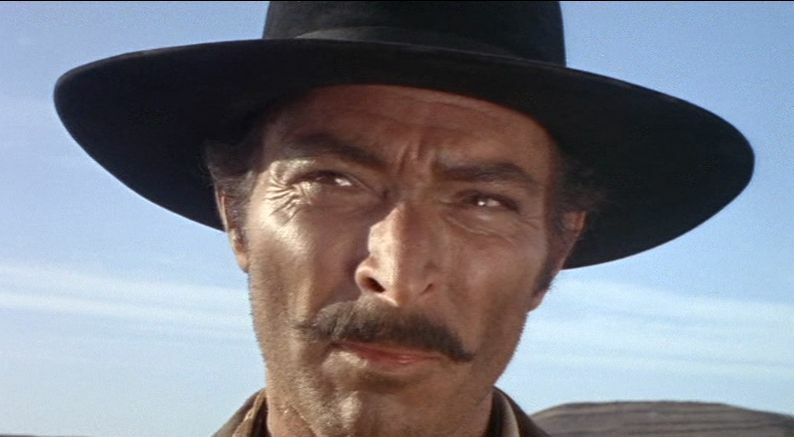 “Angel Eyes” (Lee Van Cleef) is a cold-blooded and sadistic psychopath who, unlike Blondie, seems to take pleasure in carrying out his hired assassinations. His nickname is a cynical reference, because his eyes are not so much angelic as they are demonic So he is “The Bad” in this story. Tuco (Eli Wallach) is the stereotypical Mexican scoundrel. Although he is also a vicious criminal, he is not so cool and cold-blooded as Blondie and Angel Eyes. He likes to ingratiate himself with others, but he is clearly a phony who will double-cross at the least opportunity. He is also obsessed with his own low-standing dignity and is eager to take revenge when he feels insulted. When he does take his revenge, he goes overboard in mocking and insulting his adversary. At the same time he will try to take advantage of anything that could be of use, no matter what. Thus whenever he is around death, he is reminded to make the Christian Sign of the Cross, just in case that gesture might gain him some protection from God. Thus he represents “The Ugly”. Since Eastwood and Van Cleef appeared together in the preceding For a Few Dollars More, one is tempted to link the two stories, especially since both characters wear pretty much the same outfits in the two films (Van Cleef is always the “man in black”). However, The Good, the Bad, and the Ugly is set during the US Civil War (1861-1865), almost a decade earlier than the time setting of For a Few Dollars More, so at best it would have to be considered a prequel. But even this linkage is weak, because the two characters played by Van Cleef are very different in the two films. In For a Few Dollars More Van Cleef plays Colonel Douglas Mortimer, a former Confederate Army officer and a more principled individual; whereas in The Good, the Bad and the Ugly as Angel Eyes, he is a sometime officer in the opposing Union army and a cruel sadist. In any case what distinguished The Good, the Bad and the Ugly from the earlier films is the utterly uncool character of Tuco. He occupies a considerable amount of the narrative, and his psychological vulnerability becomes a focus of the viewer’s attention as the story moves along. Some people might be put off by the stock characterization of Tuco and see it as an example of ethnic bigotry. It is interesting that the actor in this part, Eli Wallach, was Jewish and famous for playing stock characters of a number of different types. On the whole I would say that Wallach’s performance here is very good, and even in spite of the oftentimes over-the-top characterization, his Tuco essentially energizes the entire story. This turns out to be both a strength and a weakness of the film. If there is an overriding theme to Leone’s tale, it might be about death, itself. Throughout the story there are people being killed in a matter-of-fact fashion, and the total body count is very high. This suggests a cavalier, even flippant, attitude towards death. On the other hand, maybe that is the film’s sardonic and self-mocking point. The artificial notion of the Western Hero is held up to ridicule in Leone’s films as merely a hollow justification for mindlessly lethal violence. And this point is further hammered home by the film’s showing how still more absurd is the notion of war heroism and even the very idea that war has any justification at all. The film is set in the midst of the US Civil War and provides a sample illustration of how a country with a population of less than 35 million could engage itself in the senseless process of self-mutilation that led to 750,000 war deaths. The story of the film passes through roughly six episodic stages. 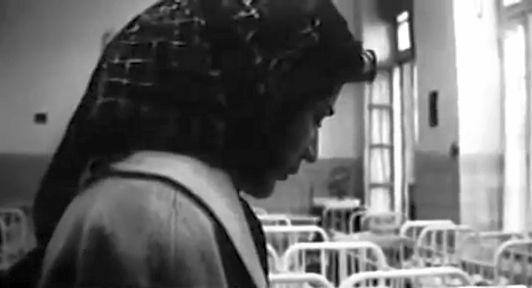 The film begins with a classic Leone opening scene showing a murderous confrontation without dialogue. Three bounty hunters have come to kill the wanted criminal Tuco, but Tuco shoots them and manages to escape. Then in a separate episode, the deadly contract killer Angel Eyes confronts a man named Stevens. Only via a lengthy process of slow disclosure will the viewer eventually learn that three men – Stevens, Baker, and Jackson, the latter of whom has changed his name to Bill Carson – stole a large sum of money from the Confederate Army. This money will be the target prize for the three principals of this story. Angel Eyes has been contracted by Baker to kill Stevens and then coerces Stevens to contract him to kill Baker, after which he kills both of them and gets doubly paid. The third episode of this act introduces Blondie. The wanted man Tuco has at this point been captured by three more bounty hunters, but Blondie intervenes and kills them. Then he captures Tuco and turns him in to the local sheriff to get his $2,000 reward. But when Tuco is about to be publicly hanged in the center of town, the precision marksman Blondie shoots from a distance through the hangman’s rope, enabling Tuco to escape. Blondie’s intention is to repeatedly run a scan operation, turning Tuco into the authorities to collect his reward and then freeing him at the hanging site so that they can split the reward and do it all over again. However, Tuco proves to be too cantankerous for Blondie to tolerate, so he cold-bloodedly takes the still hand-cuffed Tuco out into the desert some 70 miles from town and leaves him there to die. So at this point we know how vicious and cold-hearted each of the three protagonists is. Tuco somehow manages to make it back to town alive, and he is determined to take out his revenge on Blondie. This is the subject of the second act, with a considerable focus on Tuco. Although Blondie kills the henchmen assassins Tuco hired, Tuco does capture Blondie in another confrontation, but his repeated attempts to execute Blondie are interrupted by extraneous war-related events. Through one of these events, Tuco learns from the dying Bill Carson that there is a treasure buried under a grave at the Sad Hill Cemetery. However, only Blondie, still Tuco’s captive, manages to serendipitously find out under which of the many graves in the vast cemetery is the treasure buried. Blondie, of course, refuses to tell Tuco what he knows, so the two of them have to work together from now on. Being unprincipled opportunists, these two once sworn enemies have no problems now becoming allies. Tuco and Blondie, now wearing stolen Confederate army uniforms, get captured by a passing Union army and placed in a prison camp, which, as it oddly turns out, happens to be overseen by Angel Eyes, who is now operating as a Union army officer. 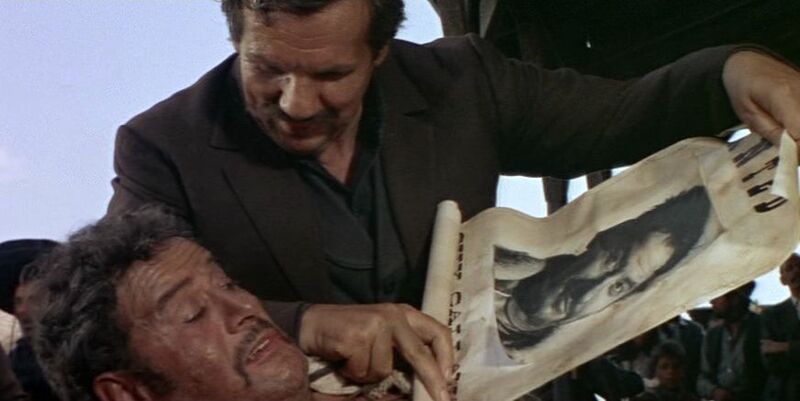 Seeking information about the treasure, the sadistic Angel Eyes has Tuco cruelly tortured in a lengthy scene lasting eight minutes. As in past Leone films, the torture portrayed would kill ordinary people. Tuco survives, but reveals everything he knows. 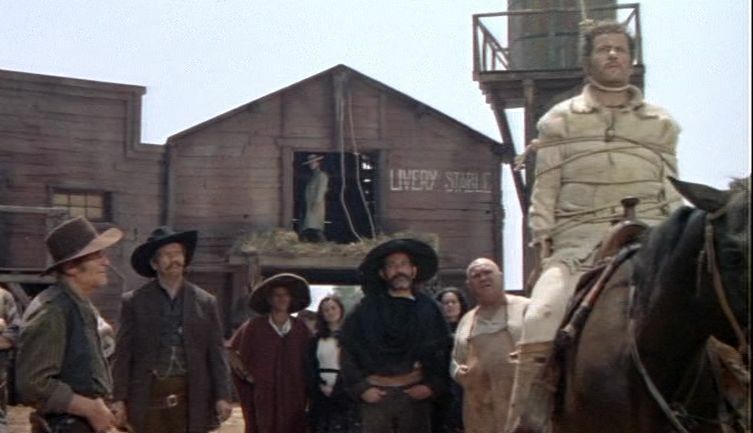 Angel Eyes now dispatches his deputy to take Tuco on a train back to a town to be hanged. Then he decides to team up with Blondie to find the buried treasure. Again the unscrupulous scoundrels change partners at the first opportunity. Meanwhile Blondie, not trusting Angel Eyes and his five henchmen, chooses to bolt. He runs into the just-escaped Tuco, and the two of them decide to reunite and work against Angel Eyes. In a typical Leone-styled shootout, they knock of Angel Eyes’s men one by one, but Angel Eyes, himself, gets away. So they decide to head for the Sad Hill Cemetery. Before they can get to the cemetery, though, they are captured again by the Union army, and we come to Leone’s anti-war segment of the film. The Union and Confederate armies are engaged in a mutually annihilating slaughter over the control of a bridge. 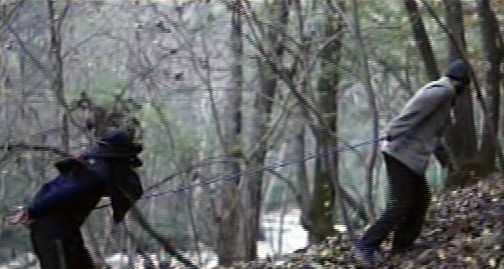 Blondie and Tuco need to get to the other side of the river, but they cannot go anywhere while the two armies are relentlessly engaged in suicide charges. So they decide to blow up the bridge with stolen war explosives; and once they do so, the senseless killing stops, and the two armies withdraw. 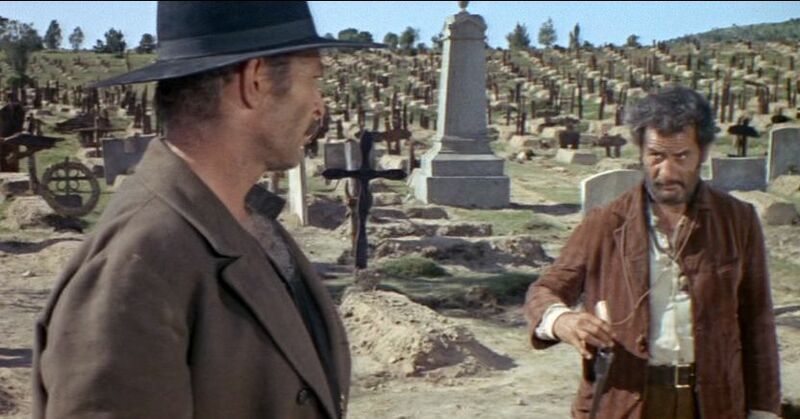 The last act, for which the viewer has been waiting for more than two hours, takes place at the cemetery, where Blondie, Tuco, and Angel Eyes converge. And Leone plays it up for all it is worth. 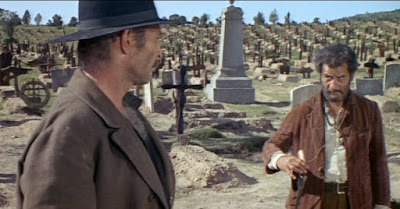 When Tuco arrives at the cemetery, he begins running desperately, searching for what he thinks is the right grave (but, of course, he has been deceived by Blondie). As he does so, the camera begins panning past the graves he is running past, and the swirling images lapse into a deliriously accelerating montage that lasts for three minutes. When Blondie, Angel Eyes, and Tuco finally confront each other and are ready to draw their guns, they move into a classic three-way Mexican standoff. Nobody will die until somebody makes the first move, but each has to decide at whom he will take aim. 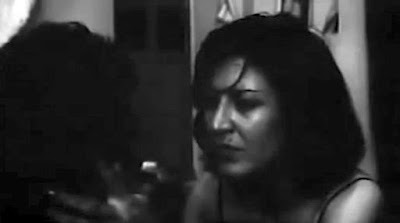 Leone builds up the tension by showing a shifting montage of momentary extreme closeups of the three desperados lasting more two minutes. This is probably the most memorable sequence (among many candidates) of the film. Then the shootout ensues. In the end they do find the money, but you will have to see for yourself who winds up with it. Perhaps the outstanding feature of the film is the way the cinematography and editing build up psychic tension throughout the tale. 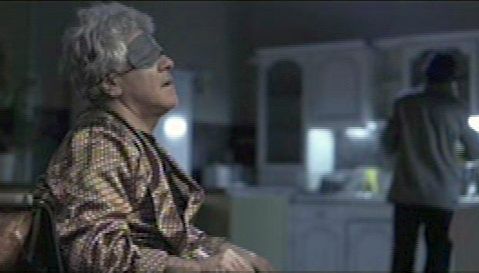 Famed cinematographer Tonino Delli Colli was working on his first Leone film, but he would continue to do the cinematography for Leone’s three remaining features. One aspect of this camera work I particularly liked was the way the extreme closeups have the characters almost, but not quite, looking straight into the camera. This has a slightly unnerving effect on the viewer that heightens the tension. And all of these shots are tightly integrated into the flow by the editing of Eugenio Alabiso and Nino Baragli. Perhaps because of this fascinating mise-en-scene, a number of reviewers rate The Good, the Bad, and the Ugly as the best film of the Man with No Name trilogy [1,2]. However, although I think this is a good film, I still think For a Few Dollars More is a more tightly integrated and effective work. The problem, for me, with The Good, the Bad, and the Ugly is its self-conscious indulgence in the comedic, and it all comes down to the Tuco character as presented by Eli Wallach. Admittedly Wallach’s performance provides vitality to the film, and his character of Tuco is one that we get to know much better than Blondie and Angel Eyes. But this spoofing performance interferes with the suspension of disbelief, which is crucial for films of this nature. Comparatively speaking, in For a Few Dollars More, the viewer is immersed in a tense and constantly life-threatening world that holds together in the viewer’s mind. Not so in The Good, the Bad and the Ugly, where the coherence of such a tense world is constantly mocked. In For a Few Dollars More death is a disturbing possibility that might appear at any time, but it is more often a threat and not always a desired goal. In The Good, the Bad and the Ugly, death becomes a joke, a game earnestly pursued by all three principal characters. Depending on your tastes, you might buy into this spoofing, but such a flippant approach undermines the overall effectiveness of the expressionistic presentation. Sergio Leone’s movement towards the self-parody seen here in The Good, the Bad and the Ugly would not continue, however. His best films, Once Upon a Time in the West (1968) and Once Upon a Time in America (1984), were still to come, and they presented further expansions of his expressionistic scope. 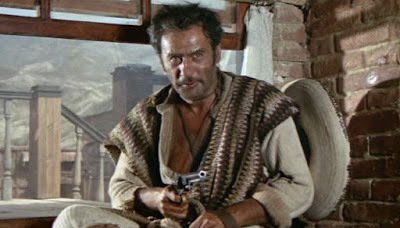 Murtaza Ali Khan, “The Good, the Bad and the Ugly (1966): Sergio Leone's Epic Tale of Greed and Betrayal”, A Potpourri of Vestiges, (March 2012). Roger Ebert, “The Good, the Bad, and the Ugly”, Rogerebert.com, (3 August 2003). Saeed Kamali Dehghan, "Former lover of the poet known as Iran's Sylvia Plath breaks his silence", The Guardian, (12 February 2017). Mohammad Rasoulof’s searing drama Manuscripts Don’t Burn (Dast-neveshtehaa Nemisoozand, 2013) is not a political thriller, in the usual sense of that term, but is instead more of a sociopolitical nightmare – one that belongs in the same class as works by Orwell and Kafka. Like the writings of those two authors, this film creates a haunting psychological tone and atmosphere that overhangs and dominates the proceedings depicted. Note however that in the case of Manuscripts Don’t Burn, it is not a matter of viewing some imagined dystopia, but instead a disturbing depiction of problems in present-day Iran. 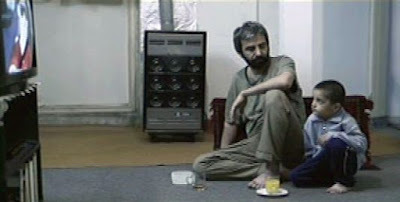 In fact the current sociopolitical situation in Iran is an important backdrop to the recent films of both Mohammad Rasoulof and those of his friend and sometimes collaborator, Jafar Panahi. Both Rasoulof and Panahi were arrested during the 2009 Iranian elections and given 6-year (later reduced to 1-year) prison sentences, 20-year bans from filmmaking, and prohibitions from speaking to the press and traveling abroad. Nevertheless, they have so far defied the authorities and have managed to make films clandestinely. 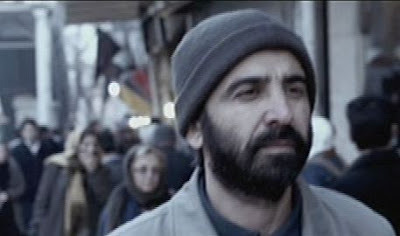 In Rasoulof’s case he was able to spend some time outside Iran after the sentencing, and some of the indoor scenes of Manuscripts Don’t Burn were shot in Hamburg, Germany. But since early 2014 he has had his passport confiscated by the Iranian authorities and cannot leave Iran . His prison sentence is still threateningly on hold. Basically, the Iranian government does not want Rasoulof to express his ideas publicly, and that is exactly what Manuscripts Don’t Burn is about: freedom of expression. The story of the film follows the plight of some elderly intellectual writers whose works are always censored and who find themselves constantly under government surveillance. One of these writers is suffering from some unspecified illness and would like to visit his daughter in France before he dies, but he cannot go, because he is under a travel ban (like Rasoulof). So he has a plan to persuade the government to lift the ban. He has prepared a manuscript describing in detail the government’s efforts in 1996 to kill 21 Iranian intellectuals traveling by bus to a conference in Armenia. By a stroke of good fortune back then, the government’s treacherous scheme of having the bus driven over a mountain cliff failed, and the 21 writers survived but were warned to remain silent about the matter. The current manuscript’s writer was one of those survivors, and his secret (even to his fellow intellectual comrades) plan is to trade the manuscript to the government in return for an exit visa. Actually, this 1996 attempt to murder 21 intellectuals by crashing their bus was indeed a real occurrence, and it is one of the documented events that were part of the notorious “Chain Murders” conducted by the Iranian Ministry of Intelligence (VAJA) to secretly murder political dissidents and intellectuals . 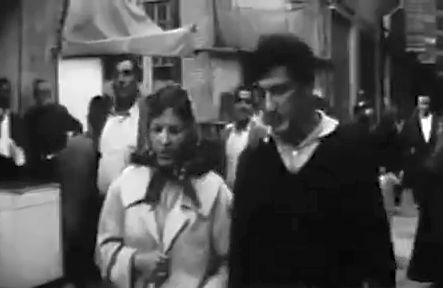 Rasoulof’s rehashing of this infamous event and making it a key feature of his story must undoubtedly be embarrassing to the Iranian government – a number of the Chain Murder perpetrators have never been held to account and still hold key governmental positions. In fact the entire film seems almost an instance of Rasoulof throwing down the gauntlet towards his despotic antagonists and exposing the perfidious nature of the VAJA ministry. Because of these threatening political ramifications, then, all the people who worked on the production of Manuscripts Don’t Burn retained their anonymity. The only screen credits listed on the film are just those showing Rasoulof as the writer, director and producer. The secretive making of a film like this inside such a surveillance state must have been extremely difficult, and yet the production values of the film are very high. This is not a quick-and-dirty production off a mobile phone camera. The acting, presumably mostly by unknown actors, is subtle and convincing. And the camera work and editing are very professional and smoothly done. Even the sound editing is well performed. 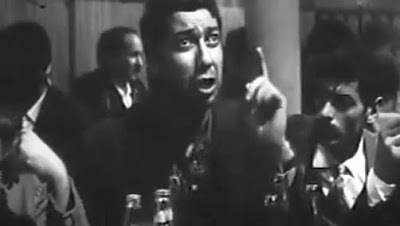 There are some instances of dialogue continuing after an actor has closed his mouth, and I am not sure if this is for intended effect or it was a case of Rasoulof finding it too difficult to reshoot a scene to include some added dialogue. In any case these are not significant detractions from the film’s overall polished presentation. 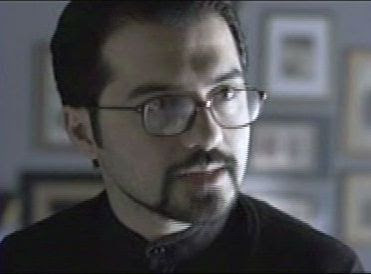 Kasra, the writer of the hidden and sought-after manuscript. He was formerly imprisoned for ten years and is now seeking permission to leave Iran. The Commissioner. He is a former dissident intellectual and prison-mate of Kasra. He has since become a turncoat and is now the vindictive head of an Intelligence Ministry bureau and seeks to confiscate Kasra’s manuscript. The story moves back and forth between these two groups, employing time shifts and slow disclosure along the way to keep the viewer somewhat in the dark and maintain the atmosphere of paranoia. In fact the opening sequence shows Khosrow and Morteza involved in some kind of caper that foreshadows the closing scene of the film and only becomes clear at the end. As the leisurely narrative unwinds over the rest of the opening one-third of the film, we see only the two VAJA hitmen, Khosrow and Morteza, and the two intellectuals Kian and Forouzandeh, all of whom seem to be real, ordinary people just trying to get on with their lives. 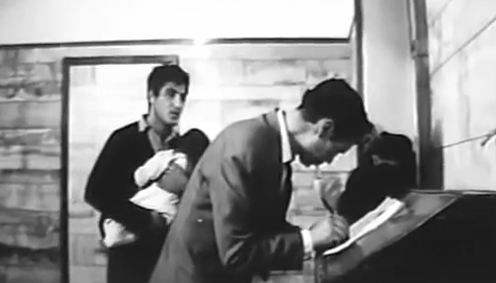 Khosrow, for example, is married and has a seriously ill child who needs urgent hospitalization, for which the worried Khosrow doesn’t have the money. Thus the viewer is quite likely to sympathize with Khosrow’s anxiety and distractedness. It is only gradually that we learn that Khosrow is not only paid to murder people but that one of his early assignments was to be the driver of that bus back in 1996 that was supposed to be driven off the cliff and kill the 21 intellectuals inside. (Note that the real driver of that bus was apparently identified as a person named “Khosrow Barati” ). In the second third of the film, Kasra and The Commissioner come to the fore. Both of them are pursuing what they believe is their moral duty, and yet they are both compromised individuals. The Commissioner, in particular, is a recreation of the darkly cold-blooded O’Brien from George Orwell’s Nineteen Eighty-Four (1949). He is shown to be now obsessively devoted to his relentless battle against “NATO culture”. Meanwhile Khosrow and Morteza are driving up north and conveying a hooded and bound prisoner in the trunk of their car. 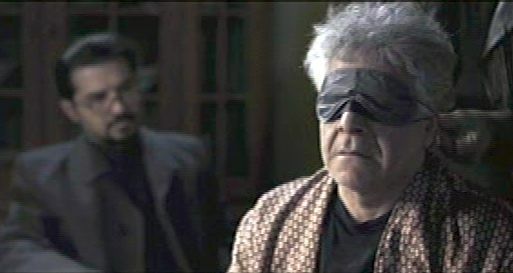 One of the examples of slow disclosure in the film concerns the identity of this prisoner: he is introduced in the 13th minute of the film, but his identity is not revealed until 80 minutes later in the story. So in the final third of the story, the narrative threads converge, and we come to its excruciatingly grisly finale. 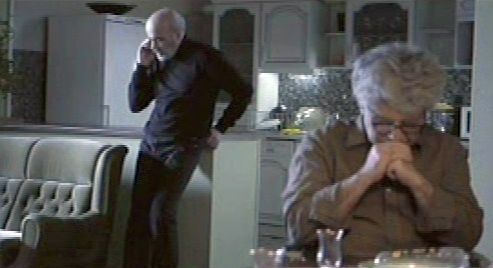 There is an agonizingly slow four-minute-long shot showing Khosrow nonchalantly raiding his poisoned victim’s fridge and making a sandwich for himself while he waits for his helpless quarry to die. And the closing sequence, connecting as it does with the film’s opening sequence, brought to my mind Panahi’s narrative arc in The Cycle (2000). Note that while Kasra and The Commissioner are the inscrutable instigators of the key narrative machinery, it is really Kian and Khosrow who are at the psychological focus of the story. They are down at the operational level and suffering the consequences of others’ schemes. 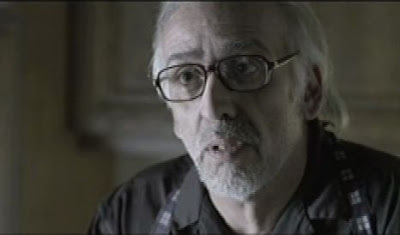 This is what makes Rasoulof’s film unique. The focus on Kian and Khosrow shows them struggling to find their way in a corrupted social matrix. Markets. There needs to be regulated markets that allow for the open exchange of goods and services across society. This includes necessarily ensuring there is sufficient wealth equality across society so that there can be widespread, fair exchange. Democracy. Some form of democracy involving broadly inclusive enfranchisement needs to be in place. Some social advocates think that only Democracy is needed; once that is established, their story goes, then everything else will fix itself. This was the position of the US Neocons who promoted the 2003 US invasion of Iraq. Others advocate only for free markets and that everything else is secondary. This is the position of those supporting “Asian Values”, as represented by the views of past Singaporean President Lee Kuan Yew. Still others, often coming from a religious background, insist only on the importance of a rigid notion of law and exclude consideration of R, M, and D. But in fact all four pillars of RMDL must be supported together in order to have a successful society, and the crucial one that is often neglected is R – human Rights. "I do not derive these rules from the principles of the higher philosophy, I find them in the depths of my heart, traced by nature in characters which nothing can efface. I need only consult myself with regard to what I wish to do; what I feel to be right is right, what I feel to be wrong is wrong; conscience is the best casuist; and it is only when we haggle with conscience that we have recourse to the subtleties of argument." Although out intuitive feelings can often lead us astray, there is now growing common agreement that certain heartfelt human rights – such as freedom of expression, assembly, movement, and privacy rights – are essential to all. They are so essential, in fact, that I believe they must stand as one of the four pillars of RMDL. There is nevertheless always a tension between heartfelt feelings (based on our consultation with the god inside us) and authoritative texts (whether from the exterior God or from external experts). This tension exists inside most religions, too. Thus within Sunni Islam there are two opposing tendencies: the Salafists, who are fundamentalists adhering to ancient texts, and the Sufis, who seek a mystical union with God. The problem with fundamentalist adherence to ancient texts, though. is that they are still written by imperfect humans in a given context and are often outdated. This means that they have to be interpreted by ecclesiastical “experts”, and this makes them subject to manipulation and exploitation. Thus during Manuscripts Don’t Burn Khosrow can be seen struggling internally with the moral rectitude of what he is doing. He wonders if his son’s illness is the direct consequence of God’s punishment for his torturous murders. Morteza blithely assures him, however, that the murders they are committing have been directly sanctioned by Sharia law. This is how society’s foot soldiers can be manipulated into carrying out cruel actions and squashing human rights. And this is how wars are justified, too. Indeed we can also see evidence of this kind of manipulation in the US today at the highest levels of government when torture has been permitted by manipulating the laws . And nowadays torture can be justified, it seems, on utilitarian grounds alone according to the CIA . 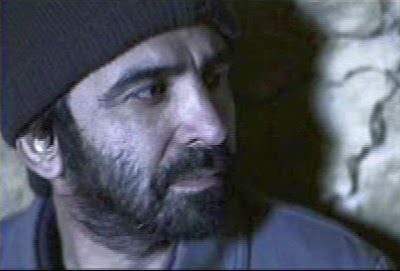 So Khosrow, like everyone, has some humanity within him, but he does not have the strength to stand up to the text-based authoritarian social climate in which he lives. In fact human frailty is a key theme of Manuscripts Don’t Burn. The intellectuals are not shown as heroic crusaders, either. Instead they are despondent idealists who have all but given up any hopes of social justice. And they are easily silenced and crushed by their unfeeling oppressors. As mentioned, Khosrow and Morteza are also being manipulated by the system. They freely exchange religious homilies, such as “Trust in God”, “God is Great”, and “God Willing”, and in so doing reflect their abandonment of any real moral self-reflection. They are content to just have faith in God’s unknowable plans (as articulated, of course, by the scheming theocratic experts). This is how text-based justifications can be used to manipulate the infantry pawns to carry out unsavory acts. Following Dataism to its logical conclusions would mean eventually abandoning our heartfelt considerations and relying on utilitarian-based computer correlations of “Big Data” to make all of our decisions, including those with moral implications. Thus we now have modern scientists discovering from their data-mining how many animals are eaten by domestic cats (Felis catus) and concluding that they should all be annihilated (“euthanized”), because they are deemed to be an invasive species (not considering the much greater degree to which human beings are an invasive species) . In this respect Kian, in Manuscripts Don’t Burn, was demoralized by how computer technology and “the Cloud” is distracting everyone, too, when he observed that today’s younger generation in Iran is mindlessly immersed in Facebook and Twitter postings and is unaware of how the data from these interactions can be used against them. What we really need to do in the face of all these tendencies to subvert our humanity is at least to ensure freedom of expression and other human rights so that we can share our heartfelt views and arrive at consensuses concerning common issues. Rasoulof’s Manuscripts Don’t Burn reveals how basic human rights can be so ruthlessly violated by a system in Iran that manipulates text-based religious accounts for its own exploitative continuance. The individuals shown in the film are not inherently evil, but instead reveal the banality and wider scope of evil. To guard against these difficulties, the preservation of human rights such as freedom of expression enables us generally to share our heartfelt views and arrive at an agreed-upon and mutually beneficial course of action. Restricting public expression and demanding fealty to prejudicially interpreted orthodox texts only sustains the exploiters. Rasoulof offers no solution as to how to ensure human rights, but he does reveal the extent of the problem facing us. It is not just a matter of dealing with a few troublemakers; it is more a matter of correcting a system that denies freedom of expression and thereby enables the troublemakers to perpetuate their exclusive control. His film, which has received many positive reviews [10,11], is not likely to be a box-office crowd-pleaser, and it has so far mostly only gained film festival exposure (of course like most all of Rasoulof’s films, it is banned in Iran). Nevertheless, this is a penetrating and thought-provoking work that should be seen by everyone. Sune Engel Rasmussen, “An Iranian Dissident Returns Home”, Aljazeera America, (3 July 2014). Muhammad Sahimi, “The Chain Murders: Killing Dissidents and Intellectuals, 1988-1998", TehranBureau, Frontline, PBS: Public Broadcasting System, (5 January 2011). See the comments in my review of “2001: A Space Odyssey” (1968). Jean-Jacques Rousseau, Emile, or Education , Barbara Foxley (trans. ), New York: E.P. Dutton, (1921), Online Library of Liberty. Jed S. Rakoff, “‘Terror’ and Everybody’s Rights”, The New York Review of Books, (29 September 2016). Spencer Ackerman, “No Looking Back: the CIA Torture Report's Aftermath”, The Guardian, (11 September 2016). The Film Sufi, “‘2001: A Space Odyssey’ - Stanley Kubrick (1968)”, The Film Sufi, (30 August 2016). Yuval Noah Harari, "Big Data, Google and the End of Free Will”, Financial Times, (26 August 2016). Natalie Angier, “The Killer Cats Are Winning!”, The New York Review of Books, (29 September 2016). “Manuscripts Don’t Burn, Mohammad Rasoulof, Review”, The Vore, (n.d.). Godfrey Cheshire, “Manuscripts Don’t Burn”, Rogerebert.com, (13 June 2014). Carl Theodor Dreyer (1889-1968), though esteemed by critics as one of the great filmmakers, is someone whose works are relatively unknown to modern audiences [1,2]. Over the last thirty-six years of his career, he directed only six films – notably The Passion of Joan of Arc (1928), Vampyr (1932), Day of Wrath (1943), Ordet (1955), and Gertrud (1964) – and they are all singular creations that defy easy categorization. Nevertheless, each has the common feature of being imbued with Dreyer’s uniquely expressive human focus that seems to point to some transcendent reality beyond everyday circumstances . One might say his films are “spiritual”, but Dreyer’s films go beyond the usual religious connotations of that term (Dreyer, himself, was not particularly religious) and seem to probe the very nature of existence itself. All of the five above-listed films are engaging in this manner, but there is one work that stands out as not only being Dreyer’s best film, but also one of the greatest films ever made – Day of Wrath (Vredens Dag). The story of the film is based on the Norwegian play Anne Pedersdotter (1908) by Hans Wiers-Jensse, which was set in the late 16th century during the height of the witchcraft trial hysteria, when many women were burned at the stake for allegedly being witches under the influence of Satan. In this story the principal character is accused of witchcraft. Dreyer had wanted to make a film of this play since seeing it for the first time in 1925, and he was finally able to achieve his goal, resetting the film in Denmark, some twenty years later during the German occupation. 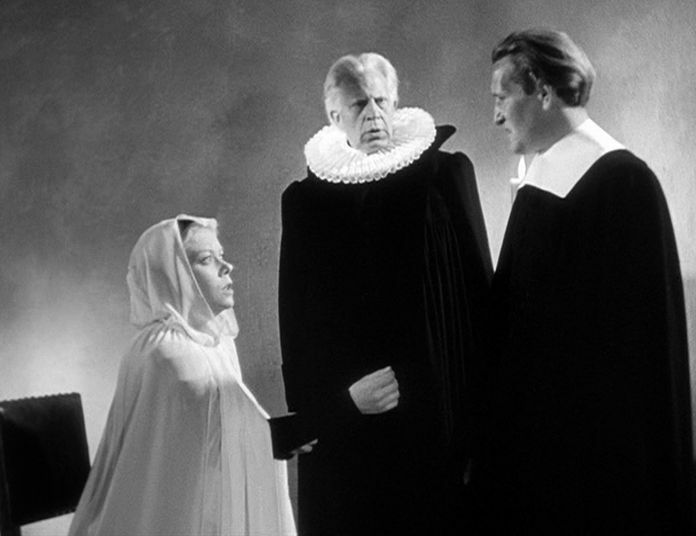 Many people have felt that the depiction of dogmatic oppression in the film alludes to the Nazi oppression of Jews of that time, but Dreyer always denied that Nazi oppression was a major theme of the film . Dreyer was more concerned with existential themes, such as what can guide us towards a meaningful and compassionate path in life. 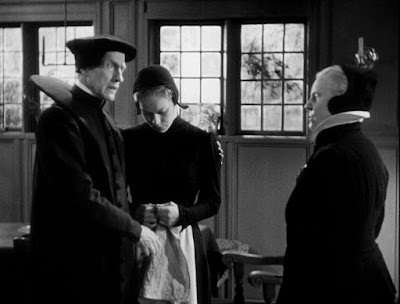 Clearly there are multiple perspectives on something so general as this, but Dreyer, with his Day of Wrath, gives it one of its most poetic and poignant cinematic expressions. emphasis on the light-sculpted human face – in particular there are many extended reaction shots of principal characters in response to a preceding remark or event. Interestingly, Dreyer’s camera often lacks a consistent narrative point of view – as if the camera disavows standing in for a quasi-charatcterological “invisible witness”, as it does in many films, but instead takes on a more abstract narrative role. 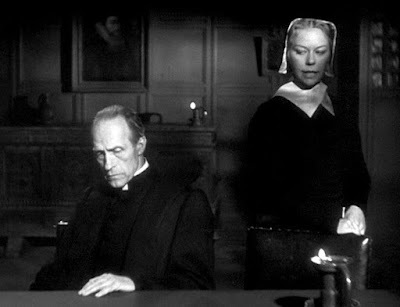 This can sometimes be jarring, with camera-axis-crossing cuts cropping up in key scenes, but in Dreyer’s films it can somehow strangely add to the transcendental feeling of the viewing experience. In Day of Wrath there are two main psychological perspectives (vital autonomy versus guilt-laden supervision), and they are presented by showing the characters who represent these two perspectives in parallel for much of the film. This parallel presentation of two conflicting moods is a key aesthetic feature of the film. The story is not really partitioned into separate acts, but instead seems to have a continuous, dreamlike flow to it. Nevertheless, we can identify three phases to the story. 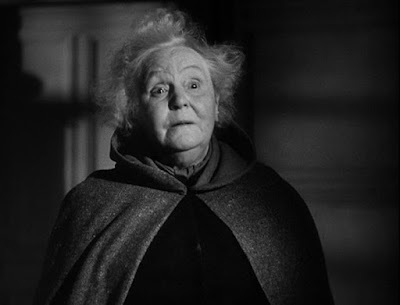 In the opening sequence an elderly woman, Herlofs Marte (movingly played by Anna Svierkier), is declared on 12 May 1623 to have been suitably denounced by three “upright” parishioners for being a witch and therefore must face trial. We will soon see that such church trials invariably entail extended torture, a forced confession, and then a public execution of being burned at the stake. The first shot of Herlofs Marte, a tracking shot lasting 2:38, shows her apprehension at home when she overhears shouting outside on the street calling for her arrest. She sneaks out the back way and off into the village outskirts. 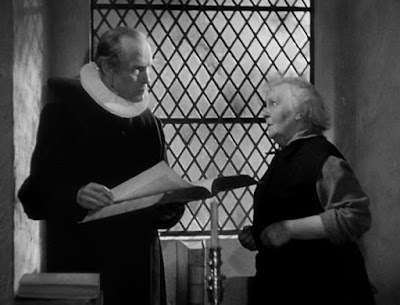 In parallel with Herlofs Marte’s flight, the film introduces Anne Pedersdotter (Lisbeth Movin), a young woman in her twenties married to an elderly Christian pastor, Absalon Pederssøn (Thorkild Roose). Absalon’s adult son, Martin (played by Preben Lerdorff Rye, who would later star in Ordet), who is the child of Absalon’s deceased first wife and is some years older than Anne, returns home from abroad and meets his new “mother” Anne for the first time. We are also introduced to Absalon’s stern mother, Merete (Sigrid Neiiendam), who clearly disapproves of her son having married such a young and attractive woman as Anne. 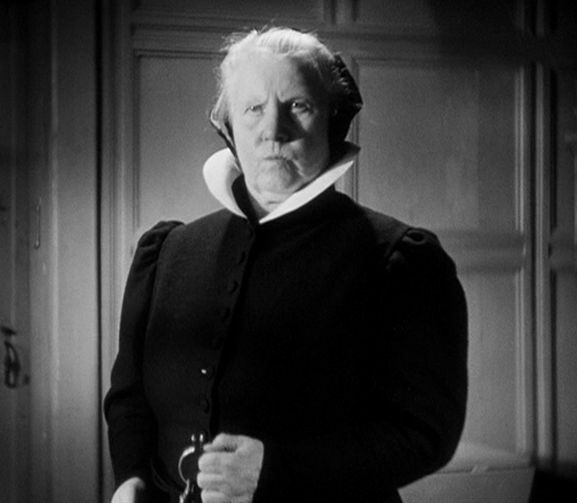 Throughout the film Merete is shown in scowling reaction shots silently expressing her disgust with Anne and everything she represents. Shortly thereafter when Anne is alone at home, she is furtively approached by Herlofs Marte, who is seeking a place to hide from the punitive townspeople. Herlofs Marte desperately informs Anne that Anne’s now-deceased mother had once “confessed” to being a witch, but that the confession had been suppressed by Absalon so that he could marry Anne. So it should be her moral duty to protect another woman from the accusation of witchcraft. Meanwhile Anne and Martin go walking out in the fields together and display a growing friendship. Eventually Herlofs Marte is duly tortured until she confesses to being a witch. 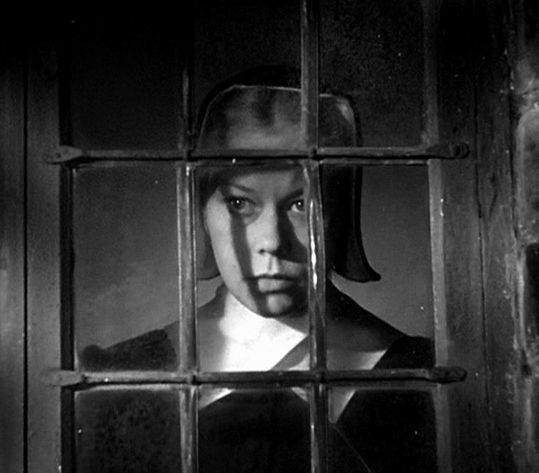 Then in a truly memorable scene, with Anne (after an atmospheric 49-second tracking shot showing her wary approach to her lookout) looking on in alarm from an upstairs window, the woman is bound to a stake and burned to death. So this first third of the film has set up the forbidding social landscape in which of the rest of the story involving Anne, Absalon, and Martin will take place. The second phase of the film depicts the growing attraction between Anne and her stepson Martin. 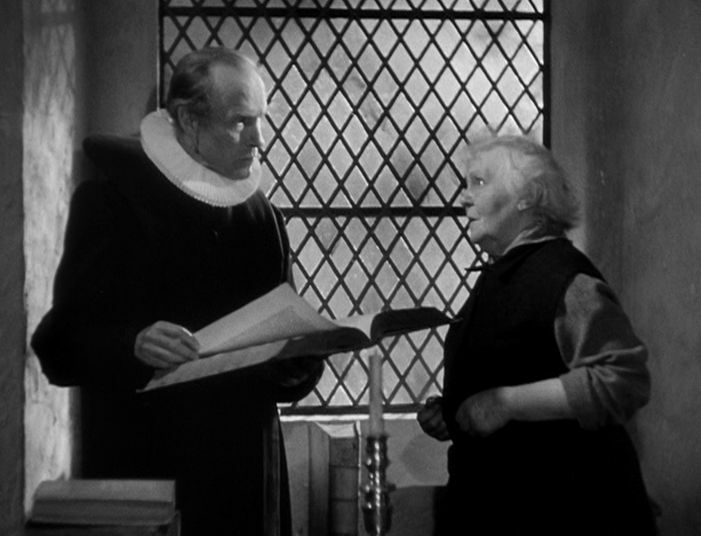 In the background is the ever-scowling grandmother, Merete, who tells her son Absalon that he will finally have to choose between God and Anne. But Absalon nervously withdraws from the embrace and tells her he has too many things to worry about now. Meanwhile Anne, far from being horrified by the revelation of her mother's presumed witchery, silently wonders if she herself has inherited some witchcraft powers to summon the living and the dead. After Absalon leaves the room, she quietly whispers to herself, “Martin, come.” And he does. And they kiss, thereby confirming their mutual passion. There are now parallel cuts showing Absalon brooding inside alone while Anne and Martin are outside among the birches loving each other in another poetically beautiful scene. Anne tells Martin, “Hold me tight. . . Make me happy.” And he does. From the earliest signs of the growing passion between Anne and Martin, the viewer knows that their forbidden love is an impossible dream. We know it cannot survive and that it faces a doom that is the essence of tragedy. But Anne’s growing glow is undeniable. At a family Bible session, Anne quietly and joyfully reads a passage from the “Song of Songs” (a Biblical celebration of sensual love), much to the displeasure of the frowning Merete. Martin: How alive your hand are. . . your fingers. . . your wrist.
. . . . . . . I can feel your pulse beating. Martin: The sun is coloring your cheeks. Anne: Not the sun, happiness! Martin: Happiness? How long will it last? Martin: Anne, where will we end up? Anne: Wherever the stream leads us! Martin: One day. . .
Anne: Don’t think about it. So much can happen. Martin: I see my father before me all the time. Anne: I see only you. Absalon has gone out during stormy weather to conduct the last rights for a dying fellow church official. At home, Anne is seen to be increasingly assertive, and her hair is correspondingly less covered. Alone with Martin and thinking aloud about Absalon, she wonders, “I often think, if he were dead . . . “ That, of course, would change everything. She further wonders to herself (and in a parallel cut to the home-returning Absalon, the unseen narrative witness wonders along with her) just what strange powers her human mind may actually possess. When Absalon finally returns, he is obsessed with death and sin. After Martin retires for the night, Absalon confesses to Anne his sin of robbing her of her youth. Anne responds vindictively, confirming his guilt and even accusing him of abandoning the marriage bed and leaving her childless. She harshly tells him further that she has wished that he were dead and that she and Martin are now lovers. With that Absalon cries out and falls down dead. Did Anne cause Absalon’s death? Martin is unsure, but after making Anne swear her innocence over Absalon’s coffin during the vigil, he promises to stand by his love if she is accused. Later, though, at Absalon’s funeral, Merete vengefully asserts that Anne did indeed kill Absalon and ensnared Martin with the help of the “Evil One”: she is denounced as a witch. Martin, weakening under the maternal social pressure of guilt, caves in and turns against Anne. Anne has now been abandoned by everyone, including the person to whom she had hitched her fate. 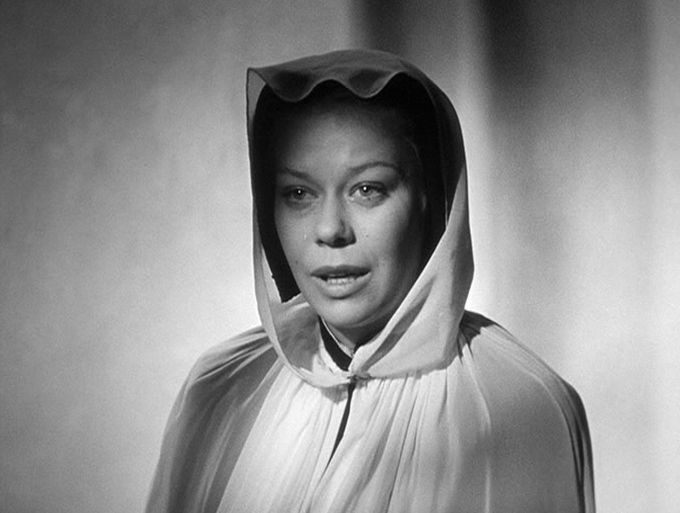 She is asked before the funeral congregation to avow her innocence, and in the film’s closing shot she tearfully succumbs and confesses that she must be a witch. From the outset is was clear that theirs was a forbidden love over which was cast a dark shadow of impending tragedy. Even so, Anne’s final submission to effectively self-immolation comes as a disturbing shock at the close of the film. At the end of the film, we are left to contemplate what it is that drives so many people towards cruel punishment. Everyone errs, even Anne, but why must so many people be cruelly punished or executed for the sake of “justice”? Although most of the characters in this story are obsessed about guilt, there are no clear identifications of the guilty and the innocent in this tale. They are all too human. Anne fell deliriously in love, but she also lied when the occasion suited. Herlofs Marte did dabble in witchcraft, but she seems very human, too. Merete, mostly concerned about scandal and her family name, was resentful, but she did love her son. Absalon’s whole life was concerned with guiding people away from sin, and yet he is revealed to have sometimes been a hypocritical opportunist. Nevertheless, he comes across as a basically well-meaning and innocent person. Martin, like Absalon, was caught between love and loyalty to a doctrinaire ideology. Religions and ideologies such as Marxist-Leninism have all been formulated with the intention of leading the human world to justice and optimal welfare. But all those ideologies that do not recognize the importance and rectitude of individual human rights can always serve as tyrannical instruments that justify cruelty . So it was with Protestant Christianity in the witch-hunt era, and so it has continued ever since. At the very heart of our salvation must be a social doctrine that emphasizes compassion and eliminates punitive resentment. A connection can be made in this regard to our understandings (usually misunderstandings) of femininity. There is a mystery about life that far exceeds the capacity of our rational understanding, and women embody this mystery right in front of us. In light of these eternal mysteries, authoritarian communities in the past often attributed unknown causal powers to women and then blamed them for causing the inexplicable and unwanted. Women were often the natural targets for blame concerning the otherwise unaccountable. Narrative accounts of this kind of persecution are what we see in Day of Wrath and also in Satyajit Ray’s similarly exquisite Devi (1960) . But we must remember that women are not only naturally mysterious, they are also naturally compassionate. And furthermore, perhaps that compassion and that mystery are inextricably parts of the same thing. Anne in Day of Wrath is full of life and sensuality – and full of the wonder for life, too. Dreyer prohibited actress Lisbeth Movin, who played Anne, from wearing makeup in the film, in order to promote her natural feminine allure – not the abstract beauty of fantasy. And sure enough, Movin is compellingly beautiful in the role. Indeed, after their first kiss, Martin told Anne that her eyes were not childlike (as Absalon had described them), but “deep and mysterious”, in whose depths he saw “a trembling, quivering flame”. This is the mysterious feminine allure that in this film is crushed by resentment-filled dogma. For our future salvation we should not turn away from this feminine mystery, but instead look in its direction. Derek Malcolm, “Carl Dreyer: Day of Wrath”, The Guardian, (6 April 2000). Gary Morris, “Carl Dreyer: Day of Wrath, Ordet, Gertrud on VHS”, Bright Lights Film Journal, (1 July 2000). Jonathan Rosenbaum, “Figuring Out Day of Wrath”, The Criterion Collection, (20 August 2001). Gary Saul Morson, “The House Is on Fire!”, The New Criterion, vol. 35, no. 1, (September 2016). 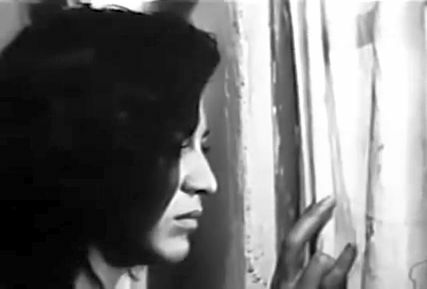 The Film Sufi, “‘Devi’ - Satyajit Ray (1960)”, The Film Sufi, (14 November 2013). The Film Sufi, “‘Vampyr’ - Carl Dreyer (1932)”, The Film Sufi, (8 October 2009).